Are you looking for adventure? Do you love to explore? 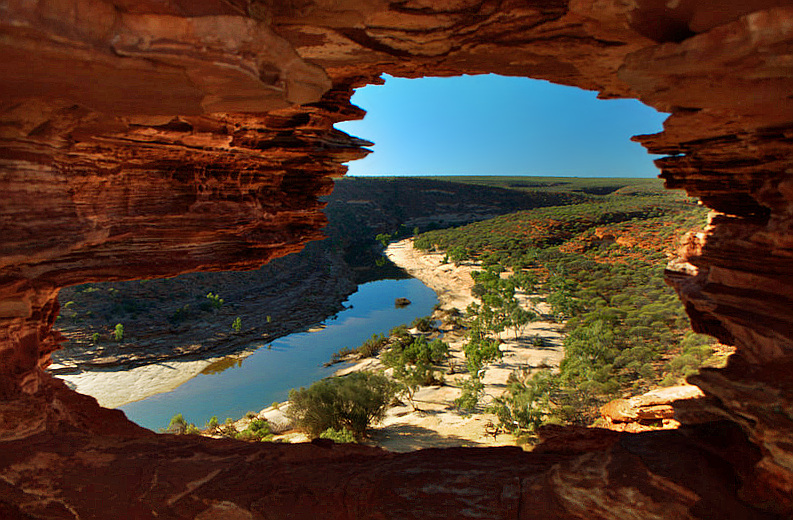 Why not chase the summer sun and escape to Australia’s Coral Coast. Some of the world’s most diverse marine habitats can be found in this region. World Heritage Listed Ningaloo Marine Park is famous for it’s gentle whale shark and manta ray swims, plus many turtle and eco tour encounters. The sandy white beaches and turquoise waters will leave you breathless and adding a tick next to this destination on your bucket list. Snorkelling tours can be experienced with professional and local guides with all equipment provided. You do not have to be an expert, just some swimming experienced is all you need to enjoy one of our many tours. We recommend flying into Learmouth (Exmouth) where you can base yourself with plenty of accommodation options ranging from campgrounds to resorts. Alternatively Coral Bay is just over an hours drive south and very quaint, popular with families and regulars that visit each year. Be sure to book any accommodation as soon as possible because the busy season kicks off in June right through to October. This two hour Snorkel & Coral View tour also takes place on the magical Ningaloo Reef where you will see the reef passing by under the glass bottom of your boat. You have the opportunity to snorkel at two beautiful sites. 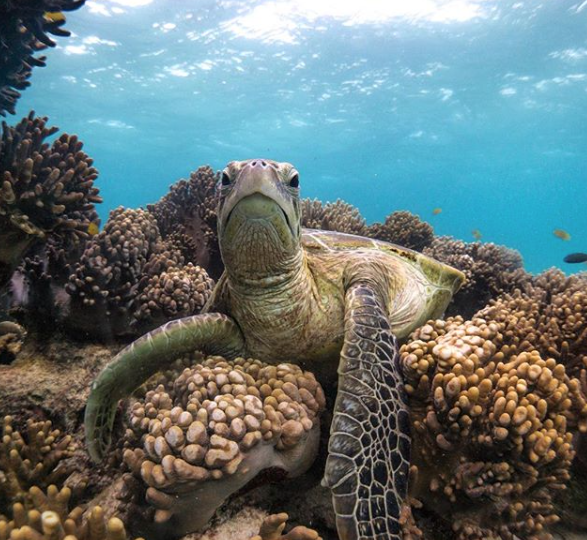 Immerse yourself amongst hundreds of tropical fish and view magnificent coral gardens, along with other amazing wildlife that calls our World Heritage Ningaloo Reef home. This Turtle Tour is the best way to view turtles feeding in their natural surroundings. Snorkel with experienced crew and their in-depth knowledge of our local turtles species and behaviour. As the only turtle tour conducted on a glass bottom boat, this tour also provides you with coral viewing, fish feeding and snorkeling at two specially selected sites. A once in a lifetime experience on the beautiful world heritage listed Ningaloo Reef, just off Exmouth. 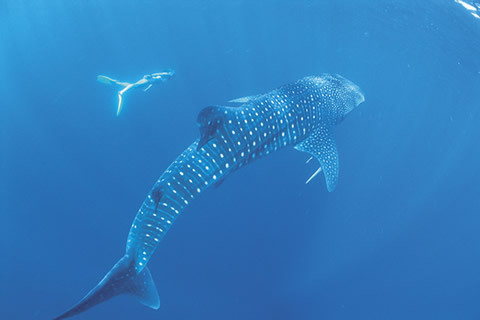 On this whale shark tour you can snorkel and swim with whale sharks, interact with manta rays, encounter dugongs, turtles, humpback whales, dolphins, amazing colorful tropical fish and coral on the Ningaloo Reef. Swimming with a whale shark is an unforgettable experience! The guides will be right there with you in the water to steer you in the right direction, and to pay special attention to any modest swimmers. Floating noodles should you feel like the extra bit of flotation. Marvel at the sheer size, grace and elegance of the Whale Shark. Most of these sharks are between 4 and 12 metres long but have been know to grow as large as 18 metres! Book this bucket list experience with us today. This 3 hour tour includes transport to the chosen kayak and snorkelling location. Travel with experienced guides who will ensure a sensational afternoon to check out the wonders below the Ningaloo Reef. Tour includes all snorkelling gear, jackets, kayaks and transport plus afternoon tea on the beach. 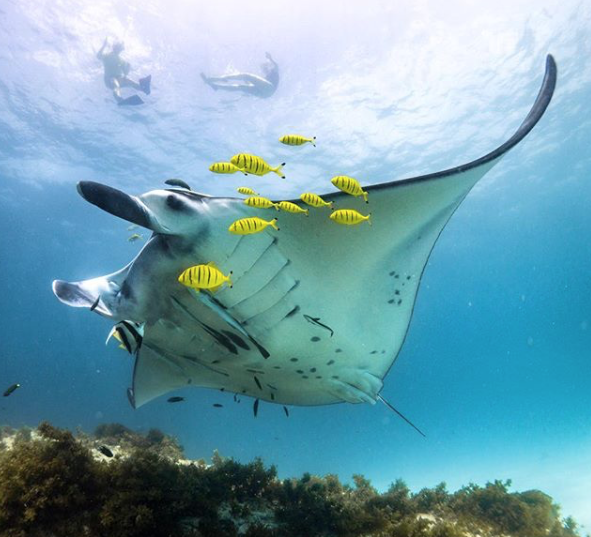 This full day action packed marine ecotour adventure with highlights of this fantastic marine ecotour swimming with the awe inspiring manta ray. The professional staff on this tour, will endeavour to deliver, in what has become almost a daily event in Coral Bay on the Ningaloo Reef. This 5-6 hour tour will take you out to a few places that the manta’s take residence all year round. On this tour you will see numerous fish, coral gardens, reef sharks and other marine species. You will also visit the marine turtle sanctuary. With all snorkelling equipment, morning & afternoon tea, buffet lunch and a great crew, this truly makes for one of the best experiences you’ll book if you’re visiting the Ningaloo Reef region. This tour departs from Coral Bay. Escape, relax, enjoy this short break adventure starting at Exmouth heading deep into Cape Range National Park. Here we load up the kayaks and after a brief lesson head off on our adventure. 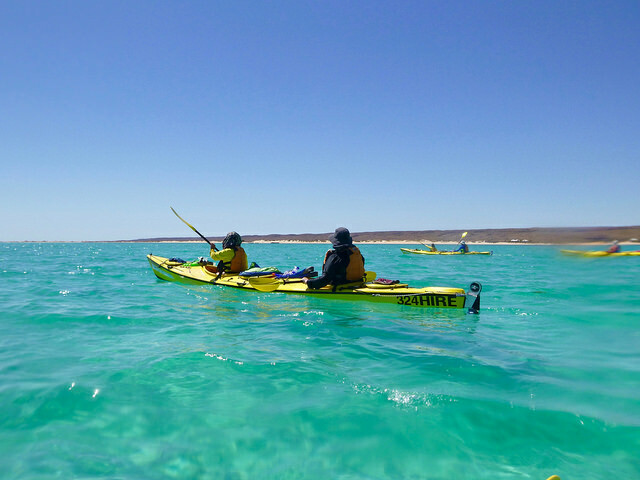 Each day we journey further along the Ningaloo Reef exploring above and below as kayak, camp and snorkel though our journey. Each day we enjoy a delicious array of freshly prepared foods (by our local guides) and in the evening a glass of wine or beers as the sun goes down doesn’t go amiss. The Snorkelling is phenomenal, Ningaloo Reef is a wold heritage listed site and as result enjoys some incredible reef systems and wildlife. Known throughout the world for its pristine natural environment our local guides will open this paradise up to you with there knowledge on flora and fauna as well as numerous ‘un-named’ snorkel sites and camping locations. Expect to be blown away with the many fish species, coral species, turtles, stingrays, manta rays and more that you may encounter. We provide a double sit-inside expedition sea kayaks with rudder for comfortable cruising. Paddles, PFD’s (life jackets), long sleeve sun shirts, broad brim hats, snorkelling gear, snorkel, masks and fins, wetsuit in season. Dry bags for packing clothing, sleeping gear, comfortable camping gear: tents, inflatable sleeping mats, sleeping bags and liners, pillows, camp chairs, shelters. Healthy delicious food and drinks (alcohol welcome but not provided). National Park camping and entry fees, transport with a qualified experienced guide.